Fiachra McDonnell of NYC and the Irish IDT France Team won the Optimist French Nationals after a fantastic week of sailing against some of the best sailors in Europe in the 200 sailor event. 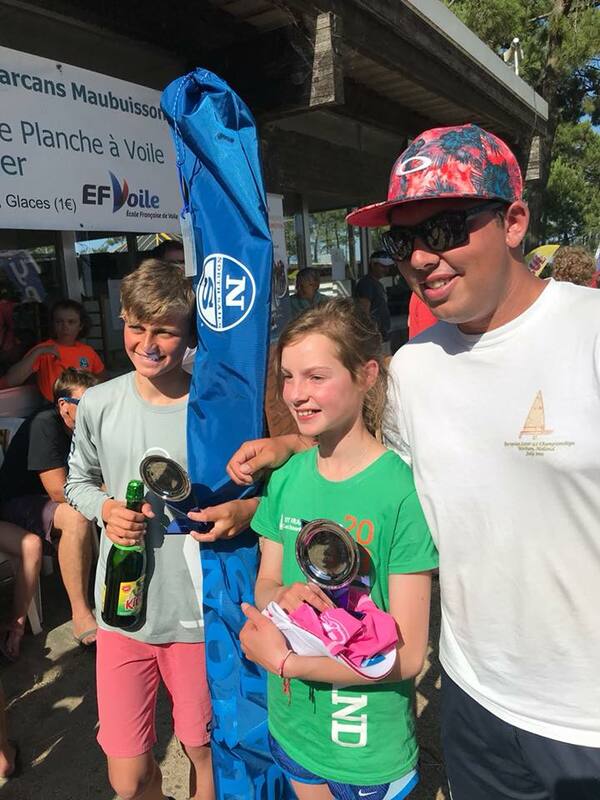 Fellow NYC and IDT Team France sailor Clementine van Steenberge won best girl at the event, at only 11 years of age she is one to watch for the future! 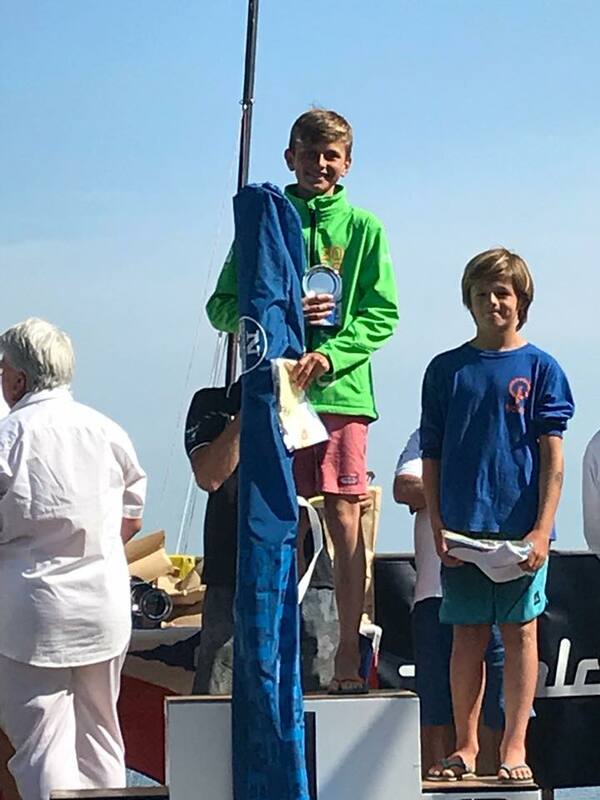 Continuing the Irish winning streak in 2nd place at the French Nationals was Justin Lucas of RCYC and Harry Twomey of RCYC finished 4th. There were four more top twenty places for Ireland at the event, 13th James Dwyer Matthews (RCYC), 14th Michael Crosbie (RCYC), 18th Johnny Flynn (HYC) and in 19th place Rocco Wright (HYC). 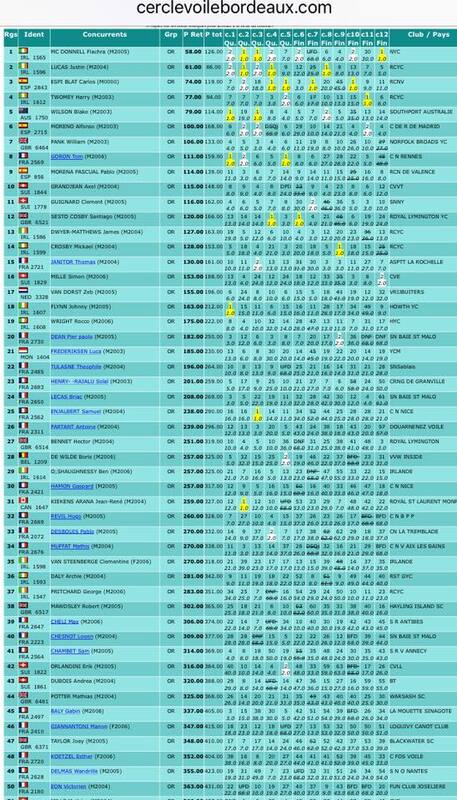 Jessica Riordan of RStGYC and IDT France Team finished a very strong 7th in the Silver Fleet. 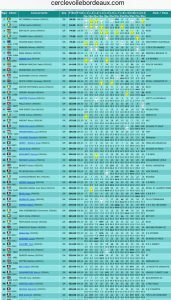 15 Irish sailors travelled to the French Nationals in Carcans, Bordeaux. 7 of the Irish Sailors travelled as part of the Irish Development Team France Team(IDT France) and a further 8 sailors travelled to the event independently. A really big thanks to Yvonne Durcan for doing a sterling job as team parent for the IDT Team for the week. A massive well done to the IDT Team coach Dara O’Shea for doing a really great job working with the sailors over that last few months to secure Irelands best results ever in France! Congratulations to all, you made you clubs and country very proud.